At only 455 acres the historic former gold mining Town of Telluride is walled in and tucked away in one of the most spectacular small box canyons in the country. This American jewel was voted The Best Ski Resort in the US for 2019, by USA Today, and The Best Small Town To Visit in the U.S by US News and World Report, for many great reasons. From its pure natural beauty, surrounded by National Forest, its colorful history, to it's fantastic cultural calendar with some of the finest festival in the world, and of course, with an average of 300" of fluffy Colorado snow (nearly 400" in 2019!). Telluride offers stunning skiing from it's classic long beginner runs to its renown extreme double black diamond cliff shoots. In a world where all great places are visited by millions, Victorian era Telluride remains protected and quiet because it's just not that easy to get to, the nearest metropolitan area, Denver, 328 miles away and the nearest stop light 40 miles away, small and quaint are the key. Offering two communities in one, brought together via its one of a kind 8 mile free Gondola, the modern Mountain Village, offers world class hotels, a superb high altitude golf course, and some of the finest ski in ski out properties in North America. Luxury real estate by Telluride standards can mean a small miners cottage in the Town of Telluride from $ 2.0 million, to a ski-in ski-out dream home in the Mountain Village for $ 7.0 million, to an architectural masterpiece on 35 acres a few miles from Town for $ 30 million. 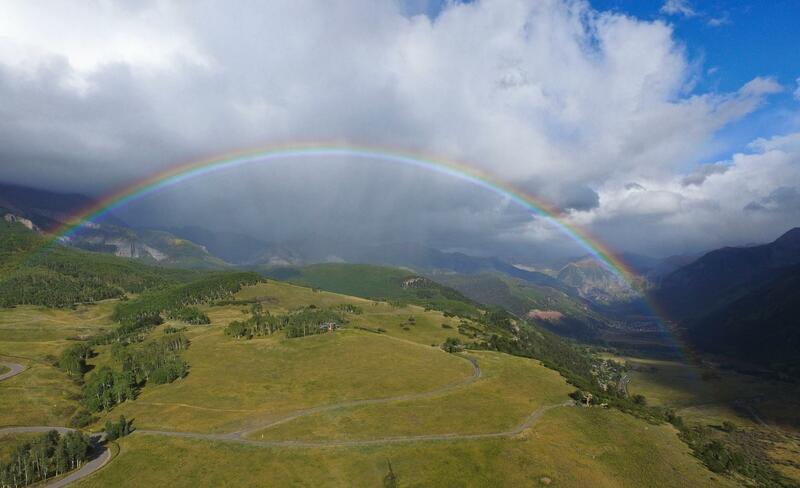 Telluride is a rare community offering exceptional real estate in an unmatched setting.